.Milan Design Week: What to Expect for the 2016 Edition? Every single year, Milan Design Week is a turning point in the world of design and aesthetic innovations. The 55th edition is right around the corner and the Salone Internazionale del Mobile will showcase the latest innovations and what major design houses have to offer today. Considered as one of the most important hub for designers, this year’s fair will feature some exciting events and presentations from 12 to 17 April. 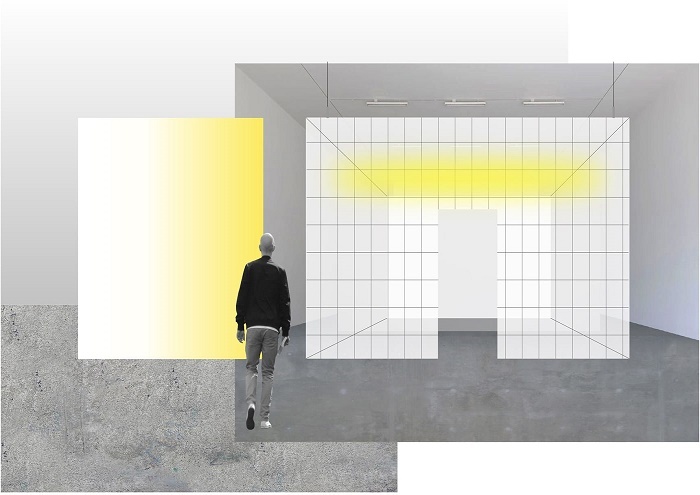 Here are our hopes and highlights for this year Milan Design Week. For the past few years, Toyota’s subdivision Lexus has been a major rendez-vous during Design Week. Exceling at combining international talents, the car manufacturer has made a point of using senses in the purest way to present its latest innovations. Last year, Lexus commissioned space designer Philippe Nigro and chef Hajime Yoneda to explore an imaginative experience that would guide the audience through the limitless possibilities of design. Called “Lexus – A Journey of the Senses”, the company presented a new car design using convex mirrors to reveal the car in an unexpected way. In 2014, Lexus also hosted “Lexus Design Amazing” showcasing the work of three worldwide renowned designers: Fabio Novembre (Italy), Nao Tamura (Japan) and the American design team Tangible Media Group. This year Lexus takes yet again, things to another level by bringing “Lexus – An Encounter with Anticipation”, an interesting collaboration between design team Forfafantasma and star-winning chef Yoji Tokuyoshi. This unique experience is set to translate the hydrogen fuel cell technology used for the new Lexus concept car through unique dishes in an innovative space. The launch of the Ki collection is also at the center of our attention for this upcoming Design week. The collection celebrates the collaboration between Scavolini and Japanese studio Nendo. 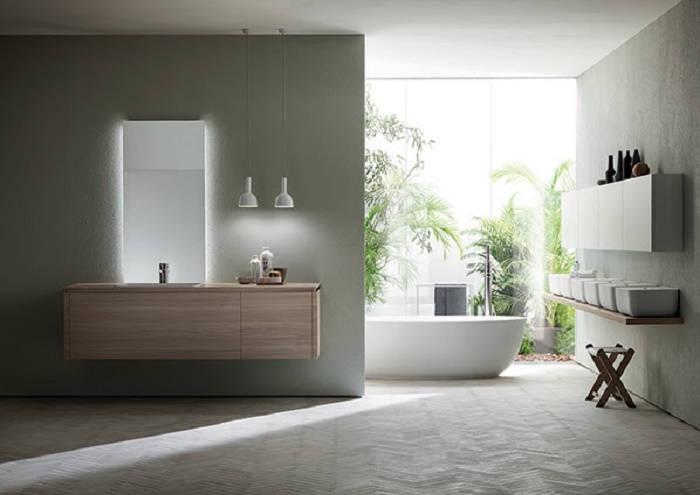 Specially designed for kitchens and bathrooms, the Ki collection aims to reduce the space in two elegant and refined elements: a container and a wooden shelf. 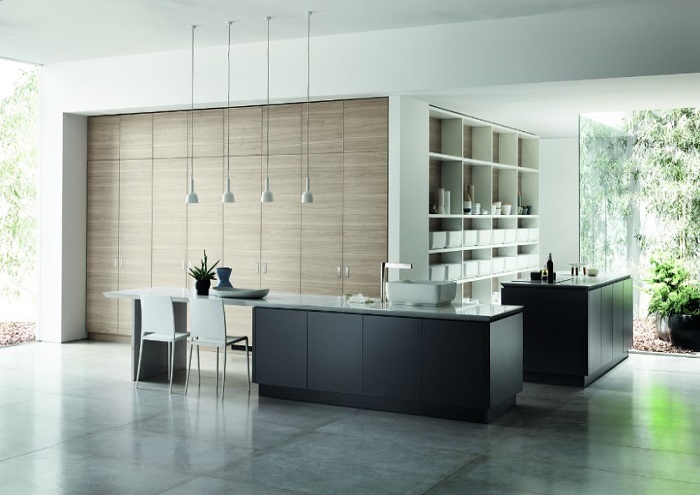 With this project, Scavolini explores new ways of refining the space to make it as pure as possible and to reduce a room supposed to be functional to minimalistic elegant elements. 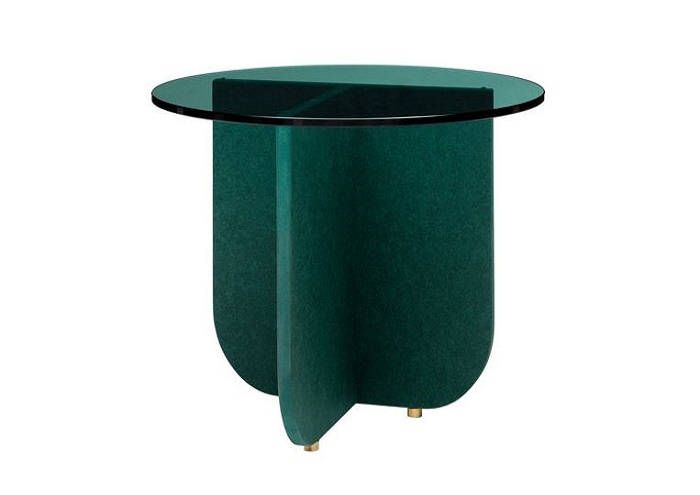 London-based furniture brand H Furniture has selected some of its best pieces to expose at Milan’s fair. Presenting their latest innovations, H is all about natural materials. 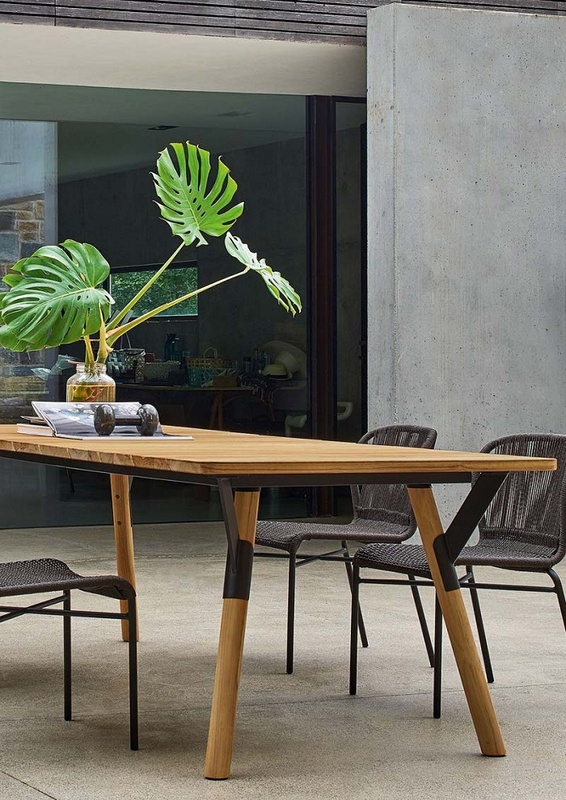 It’s this clever mix of wooden elements and natural materials such as leather strings and bricks that makes H Furniture a special and elegant brand and we can’t wait to discover what they have instore for us at this year’s fair. 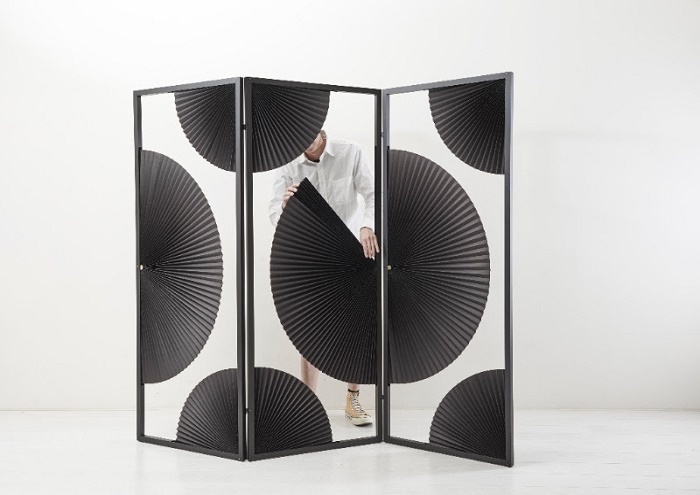 Belgium designer Alain Gilles will be launching his new collaborations during this year’s Milan fair. Using wooden elements, the furniture designed for Bonaldo particularly caught our attention and especially the “New Perspective” mirrors. 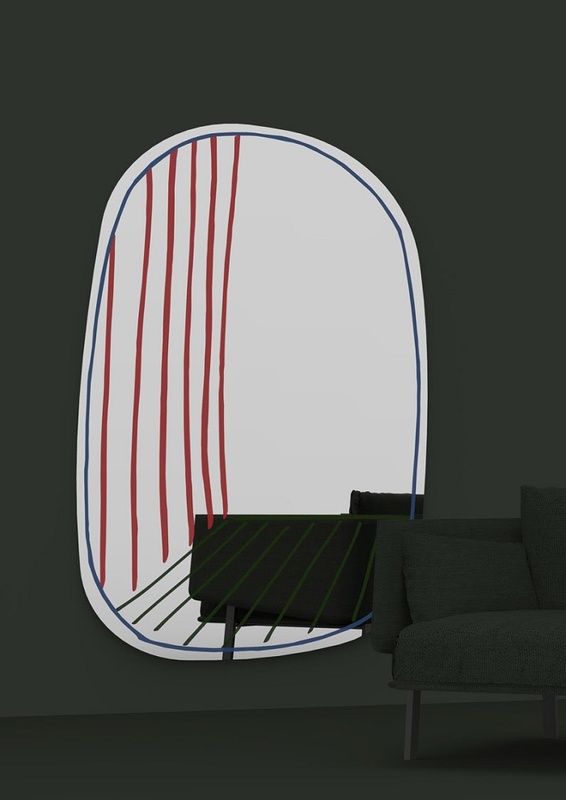 Shaped in a rough way, these mirrors play with graphic lines to create a different perspective of the space to give the illusion of a fake wall and wooden floor. When it comes to design, Belgium is a country full of talents and pioneers and it will be proved once again at this year’s Design Week. 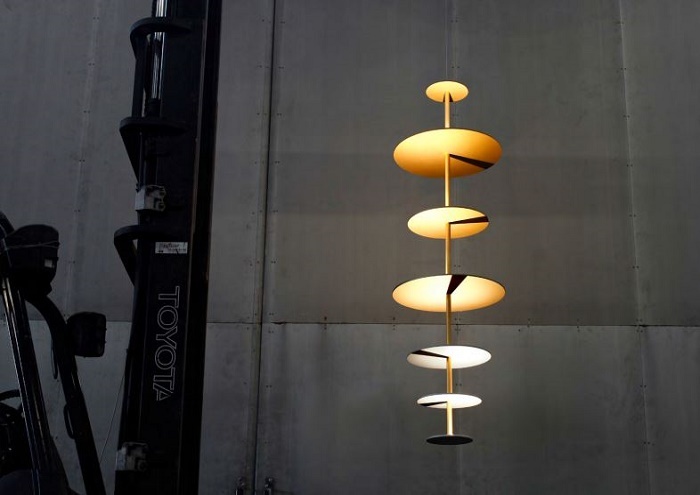 Maarten De Ceulaer will for instance presents his new chandelier made of aluminum discs creating an interesting and innovative rhythmic between the elements. 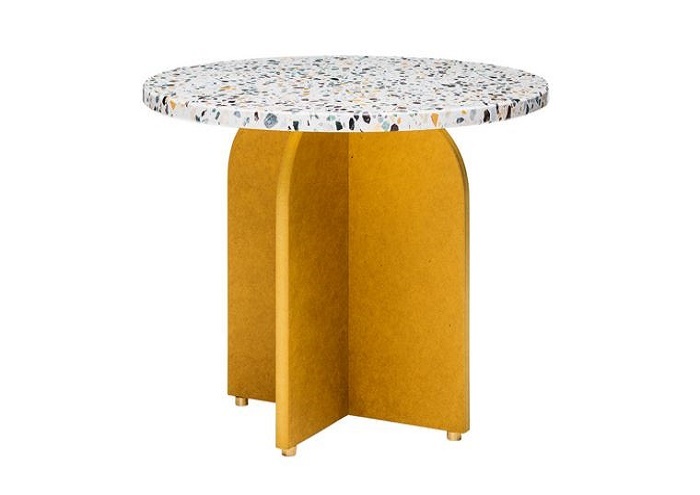 Made out of terrazzo material, the new Fish & Pink collection is one of our biggest crush here at Cent. 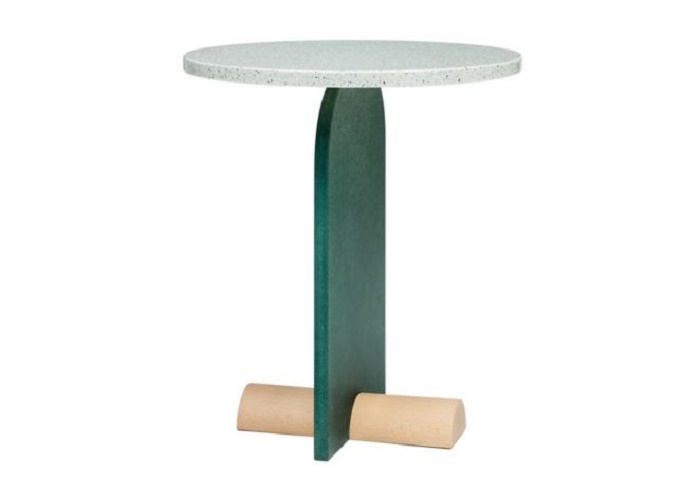 The Swedish couple and design duo is all about color and innovative materials and their new collection of small tables proves it all. In an unexpected combination, Fish & Pink released a limited edition of eco-friendly and original pieces. 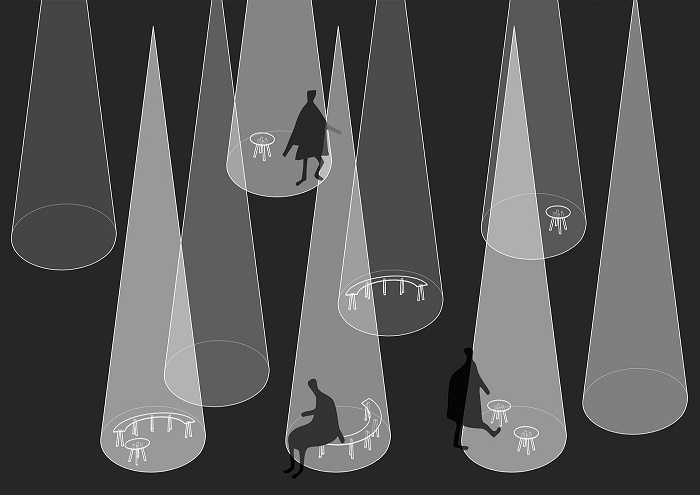 To celebrate their fifth year at the Salone del Mobile, H&M’s subdivision COS is working with Sou Fujimoto Architects to create a multisensory installation called “Forest of Light”. Taking inspritation straight from the COS collection, the Japanese architect worked on the idea of light, movement and darkness, creating an unique playful environment for the visitors. .Cent Magazine has previously worked with internationally renowned London-based designer Moritz Waldemeyer for our “The Spaces In Between” issue. Mortiz’s work ranges from art performances and products making to fashion design for the likes of Will.I.Am and Ellie Goulding. 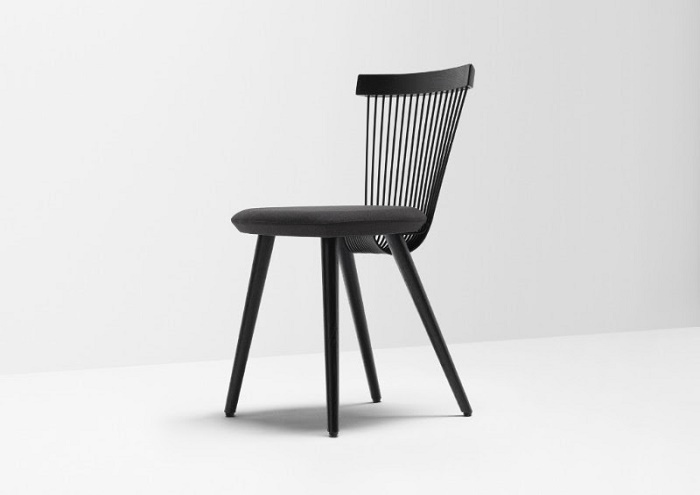 Waldemeyer will be featured in five places like the Boutique Paneria and the Park Hyatt Hotel during Milan Design Week. Once again, the stakes are high for the 2016 edition of Milan Design Week. With major rendez-vous such as the Salone del Mobile, we can’t wait to see what is going to happen mi-April but it will reaffirm for sure Milan as the worldwide head capital of design.